The Body Mass Index (BMI) is a very useful tool that can determine if you are at a healthy weight. BMI is an estimate of body fat and a good gauge of your risk for diseases that can occur with more body fat. It is calculated from your height and weight. The values apply to both men and women, regardless of age or frame size. By calculating your BMI, you can determine if you are underweight, overweight or at an ideal healthy weight. Knowing your BMI can give you some ideas how to adjust your current calorie intake and help you tailor your workout routines (kick up the intensity, add more weight training, and tweak your cardio). The amount of fat you have can gauge your risk for developing a variety of diseases, such as heart disease, high blood pressure, type 2 diabetes, gallstones, breathing problems, and certain cancers. Knowing the numbers appropriate to your height can be helpful when trying to figure out a weight that is healthy for you – it will aid you in redesigning your fat loss goals and how to approach your diet and exercise routines. So, how do you figure your BMI? The BMI number is based on your height and weight; you can calculate it yourself by using the formula presented in the BMI chart, or by using an online calculator. Is your BMI number a little high? Don’t worry, if you are a bit more muscular or have an athletic build, your BMI might be slight overestimated. Keep hitting the gym, as doing your workout routines will help you to continue burning fat! 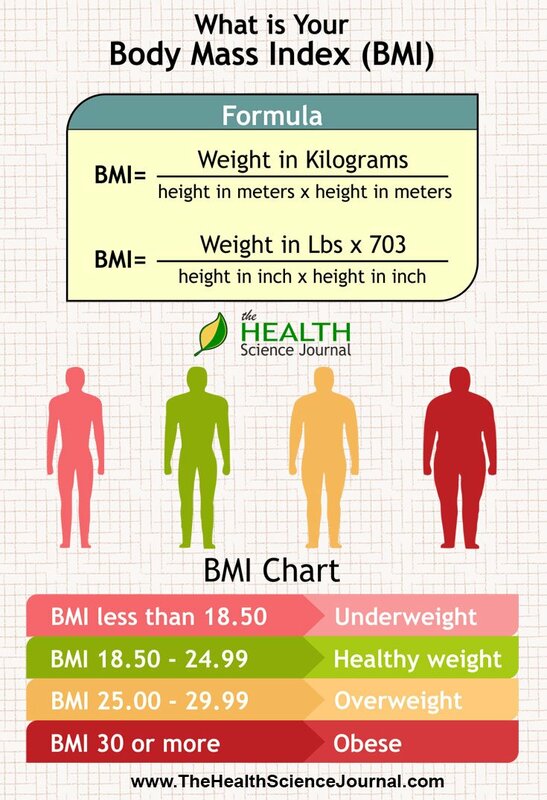 Stay healthy by knowing your BMI!